Hair extensions are such a lucrative business that they attract every sort of entrepreneur. If you aren't careful about doing your homework, it isn't hard to end up with someone who shortchanges you on every level possible. If you aren't even sure about all the different levels on which you can go wrong, take a look below. To look believable and to go well with your own hair, extensions need to exactly match it in both texture and shade. While any reasonable hair extension company offers a wide range of colors and textures in both synthetic and natural hair, not every salon offers a wide range of application methods. Many only choose to offer a handful -- which is a very bad idea. Clip-ons, bonding, weaving, taping, micro-beading, micro-looping and other methods exist for a reason -- different types of hair call for different types of application method. Unless you know exactly what application is best for you, you need to find a salon that offers you as many possible method available so that you/they can pick the application that's right for you. If you go to a place that offers just a handful of options, they may try to persuade you that one of them is right for you when it isn't. While some companies do apparently offer a wide range of methods, many of them are outdated. For instance, simple hair extension applications that use rubber adhesive are obsolete today -- rubber adhesive damages hair. The modern method is to use quick-weave or reusable keratin tape bonding. You need to watch out for salons that pad their offerings with outdated methods that you can never use, anyway. The guarantee offered by the hair extension company you choose should play a role in your buying decision. Not only is it important for the extension company to offer you a bulletproof satisfaction guarantee, the company should actually be around to honor it. Many people make the mistake of choosing a company that hasn't been tested for its ability to stay in business. When a problem turns out, they find that the company is simply not around anymore. Hair extensions made of human hair can cost as much as $3,000; understandably, people tend to be attracted to affordable synthetic extensions. Often, swatches of synthetic hair can seem so perfect when placed next to natural hair extensions that they can seem like a bargain. The problem, though, is that the eye isn't able to judge hair when it is set out on a table. Hair has to be on the head for you to be able to judge it properly. And judge, people will - almost anyone is able to spot synthetic hair extensions at 10 feet. You mustn't even pick natural extensions that are blended with synthetic extensions. Some producers pass off blended extensions as 100% human hair extensions. The only way that you can tell is to take a few strands out and burn them. Real human hair turns to ash. Synthetic hair, on the other hand, melts. At any rate, picking synthetic extensions doesn't work out to be cheaper over the long run. Natural hair extensions last a year if you take good care of them. Synthetic extensions usually last no longer than six months at most. When you pay for synthetic extensions, then, you simply end up paying twice. If you're looking for full coverage of your head, you usually need at least 100 grams of extensions. Sometimes, companies advertise quality hair extensions at what appear to be a bargain price -- the problem being that they only give you a smaller quantity. You need to keep quantity in mind when you shop around and pick a brand. 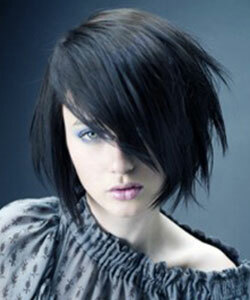 Many inexpensive hair salons do offer great service. The hairdressers at some, though, are inexperienced or simply don't care enough. Even if you do ask to buy natural hair extensions, salons can sometimes pass off a poor quality product if they think you won't notice. It can actually be a good idea to pick the brand of hair extension that you want first by reading online reviews and then pick a salon from the list that is mentioned on their website. The best brands don't sell to just any salon. Lack of experience can result in poor application practices, too. Some stylists can't be bothered with all the hard work that applying hair extensions involves. They may use large switches of hair instead of using tiny ones, for instance. When you have large clumps of hair hanging on your real hair, the effect simply isn’t believable. The other problem with using large sections is that when they are applied to small areas of your original hair, they can put a great deal of stress on them. Breakage can result. Proper extension placement actually requires great skill - the stylist needs to know by sight how strong your hair is to know how much to apply to any given point. Even if your hair is a uniform shade throughout, there are likely to be minute color differences from one area to another. While it may be hard for anyone to notice where these subtle shifts of hue happen, most people are usually able to tell when you have hair that is unnaturally uniform in its coloring. Careless hairstylists make the mistake of not choosing several subtle shade differences for your hair extensions the way good stylists do. It can ruin your hair extension job to pick the stylist who doesn't pay attention to such subtleties. A hair extension application job doesn't simply involve having extensions placed on your head - it also involves a final haircut to make sure that your new hair matches your own hair. Cutting hair extensions doesn't use the same techniques as cutting regular hair, though. Sometimes, extension artists simply put your extensions in and then send you to a regular hairdresser for the trimming needed. Those inexperienced hairdressers may do something like giving you a blunt cut. While this may work for real hair, it may make extensions look thin and limp. Before you sign up for hair extensions with a salon, you do need to make sure that the person trimming your hair has the experience necessary. It all comes down to homework. If you don't plan to read up a great deal about how exactly to get hair extensions, you might as well not get them. The whole point of hair extensions is to have great hair that looks like your own. You can't make a single mistake here - people notice these things in an instant.